585 · Flight to Danger · Sax Rohmer · ss This Week Oct 19 1958, as The Deadly Blonde of Dartmoor; slightly revised. 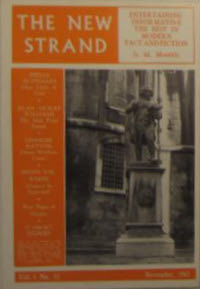 609 · State Visit [Part 1 of 2; Commander George Gideon] · John Creasey · sl Gideons March, J. J. Marric, Hodder 1962; adaptation of part of Gideons March. 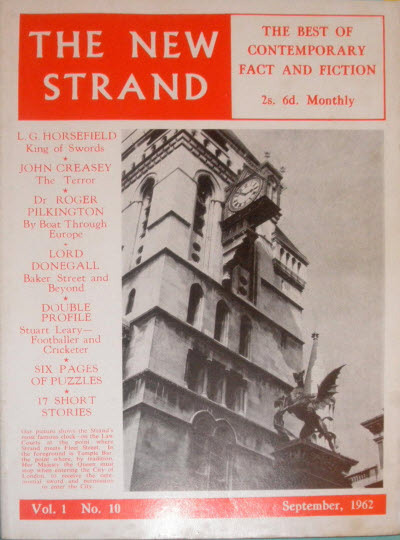 678 · Baker Street and Beyond (6), April 1891April 1894 · Lord Donegall · cl; on The Final Problem and The Empty House. 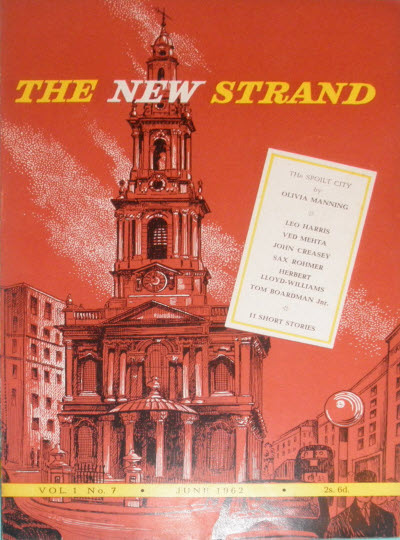 711 · The Spoilt City · Olivia Manning · ex Heinemann 1962; the opening chapter. 716 · Great Events and Momentous Days · Leo Harris · ar [Olivia Manning]; critique of The Spoilt City. 737 · State Visit [Part 2 of 2; Commander George Gideon] · John Creasey · sl Gideons March, J. J. Marric, Hodder 1962; adaptation of part of Gideons March. 865 · The Terror [Part 1 of 5; Dr. Palfrey] · John Creasey · n.
938 · Baker Street and Beyond (8), No Real TreasureJust the Butlers Body · Lord Donegall · cl; on The Musgrave Ritual. 993 · The Terror [Part 2 of 5; Dr. Palfrey] · John Creasey · n.
1048 · Baker Street and Beyond (9), A Treaty for Breakfast · Lord Donegall · cl; on The Naval Treaty, Black Peter & The Dancing Men. 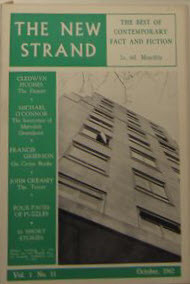 1113 · Lets All Go Down the Strand [Part 2 of 3] · Joan Bamford · ar; about the London thoroughfare. 1121 · The Terror [Part 3 of 5; Dr. Palfrey] · John Creasey · n.
1155 · Britains Last Frontiers · James North · ar; about caving. 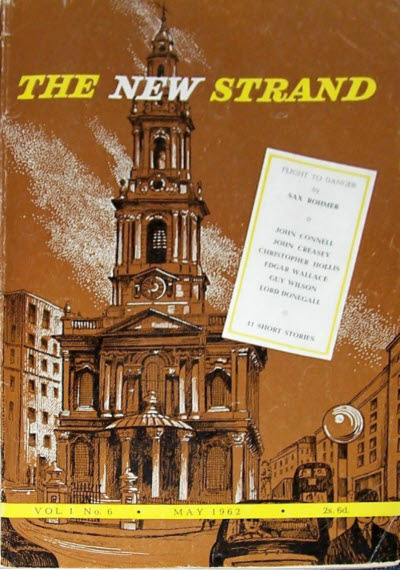 1229 · Lets All Go Down the Strand [Part 3 of 3] · Joan Bamford · ar; about the London thoroughfare. 1244 · Kinship with Stones · Katherine G. Nelson · ar (r); on geology and probably reprinted from Country Beautiful. 1249 · The Terror [Part 4 of 5; Dr. Palfrey] · John Creasey · n.
1286 · The Melody Lingers · Kirby Gray · vi; copyrighted by R. P. Kirby. 1377 · The Terror [Part 5 of 5; Dr. Palfrey] · John Creasey · n.
1415 · Be Objective, Mr. Villy-Yams! (1), The Man from Tomsk · Alan Moray Williams · ar; adventures of a British newspaper correspondent in the USSR.